Activision is bringing Call of Duty: Mobile to the west. In a trailer released last night, the publisher announced the arrival of the game in a trailer which you can check out further down this article, showing off plenty of game modes and hinting at even more. The game, which will be available on iOS and Android for free, has been brought to western audiences in collaboration with Tencent, the Chinese publisher that’s the parent company of League of Legends developer Riot Games and which helped bring Fortnite to China. Development of the mobile version has been handled by Tencent’s in-house studio, rather than traditional Call of Duty developers such as Treyarch or Infinity Ward. The trailer shows off a variety of iconic CoD maps, including Nuketown and Crash. It also seems to suggest that gameplay will be most familiar for fans of the series’ most recent outing, Black Ops 4. The game’s appearance matches up most closely with last year’s release, and also seems to feature gadgets and specialisms from the game. 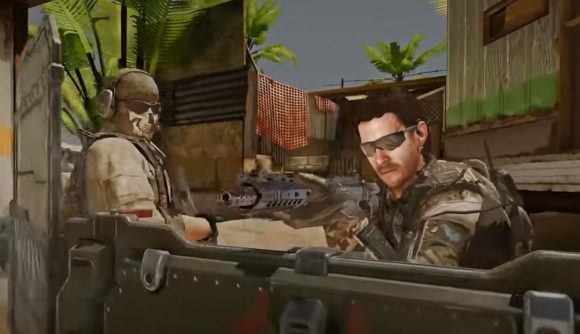 Interestingly, the game is also likely to feature a mode currently unique to Black Ops 4. It looks as though Blackout, the franchise’s first foray into battle royale, will eventually feature, thanks to a series of helicopters approaching what appears to be the mode’s massive map. There’s no release date for the game just yet, but the trailer says it’s coming soon, and that pre-registration is available now. Activision also suggests that there’s “more to come” beyond just Blackout – a three-headed dog shows up in the trailer, suggesting that the Zombies mode’s Cerberus will also feature. We’ve reached out to Activision for more information regarding the mobile version and its development roots, and we’ll update this story if we hear back.